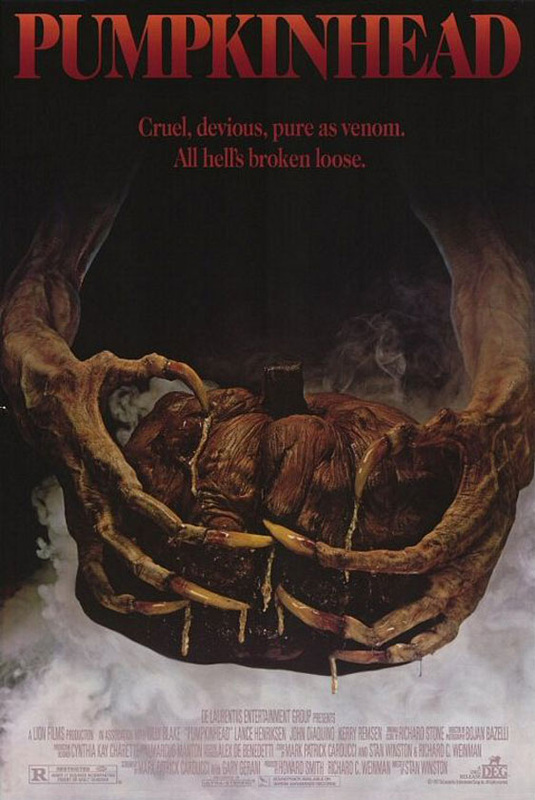 Lance Henriksen (Aliens, Millenium ) stars in this vivid, stylish, atmospheric (The Hollywood Reporter) and heart-poundingly scary fright fest directed by four-time Oscar (r)winner* Stan Winston and written by Mark Patrick Carducci and Gary Gerani. When a group of rambunctious teenagers inadvertently kill his only son, Ed Harley (Henriksen) seeks the magic of a backwoods witch to bring the child back. But when she tells him the child's death is irrevocable, his grief develops into an all-consuming desire... for revenge! Defying superstition, he and the witch invoke 'the pumpkinhead a monstrously clawed and fanged demon which, once reborn, answers only to Ed's bloodlust. But as the invincible creature wreaks its slow, unspeakable tortures on the teens, Ed confronts a horrifying secret about his connection to the beastand realizes that he must find a way tostop its deadly mission before he becomes one with it forever! 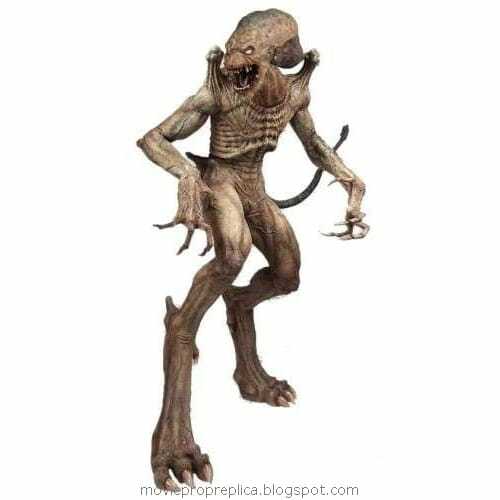 Pumpkinhead Movie Prop Peplicas, Figures, Toys and Collectibles! Summoned by a swamp witch to avenge the accidental death of a man's son by a group of city kids, Pumkinhead was a raging demon on a mission of destruction! Based on the original creature designs from the cult classic 1989 horror film starring Lance Henricksen, this beautifully designed figure masterfully captures ever nuance and detail of Stan Winston's chilling movie monster! Window box packaging.